Shopping for GoPro Duty Free in airport shops, are Cameras good value? To compare GoPro Duty Free prices, or for any other digital camera is about as complex and often as meaningless as it gets, because there are so many different factors to consider. Comparing prices for cameras across global airport shops, is a somewhat irrelevant exercise because most people will not change their flights just to get a digital bargain. 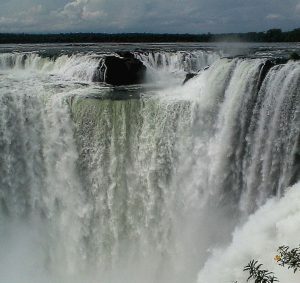 Not even to get that shot of a spectacular travel location, like Iguazu Falls in Brazil. So, even if a GoPro Duty Free price or that Canon, Nikon or Sony digital camera is cheaper in the Hong Kong airport stores, how many people are going to actually change their itinerary and fly to Hong Kong to buy one? Very few! The most important issue is to be able to check before you fly for the duty free stores en route to your destination and the rules applicable to your journey. The only proper way to do this is to find and study the pre-order duty free websites for your trip and this is exactly what we do to help you. Here’s an example of the information we provide for your destination, where our various search pages for Singapore shopping help you to find all the relevant stores and if available their store links. On this page you can track down “iShop Duty Free”, Singapore Changi airport’s very own shopping portal. You will also find the Duty Free Allowances applied for Customs on arrival. Remember, you might buy a camera at a bargain price in Miami airport duty free, but then find you are over the Customs limit when you arrive in Singapore. All these factors need to be considered and they all make the comparing of prices difficult. Duty Free Electronics store Singapore. 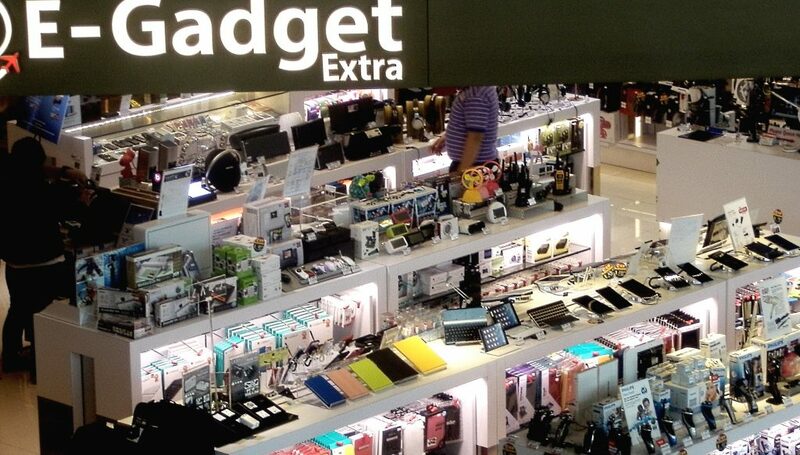 The local GST sales tax is already deducted in airport stores. Most important of all GoPro or other digital cameras are not “Duty Free” at all, they are actually “Tax Free” which means that they only have the local sales tax deducted in airports. There is quite a difference between the terms Tax Free or Duty Free shopping and often the saving is not much great than your local downtown store at home. Buy a GoPro in Thailand? 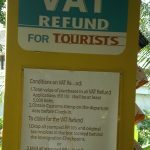 Tourist Shopper tax refund service pays the taxes in cash at the airport. There is another method to buy Tax Free and that is to reclaim the local sales tax on your purchase when you return home. This is known as the tax-refund scheme and is available to many global long-haul travelers. This is often a better method to get the best prices on a camera, because it means you can shop at your leisure downtown, rather than when rushing through the airport. Global Blue is the world’s largest tax refund service for tourists travelling around the globe, there are many other alternative schemes, also featured on our information pages. Many Countries, like Thailand (featured photo), run their own service and in Bangkok instant cash is returned to you at the airport, even if you bought your goods by credit card. Global shopping for electronics is not easy, hopefully we have added some good tips and pointers, before you leave home. Overall conclusion, if you are not sure that you can save more than 20% on your travels, buy at home and be re-assured that you are happy and familiar with your camera before you travel. At least then you will get those spectacular shots and can easily return your camera if you experience any unexpected issues with it. *In Britain and certain other countries there is an airport store chain called Dixons Travel this gives you a very good guideline to products and prices, because currently the UK has some of the cheapest electronic prices around the world. Plus, due to “Brexit” the Pound has dropped, so prices in Britain are cheaper than ever, especially for those with Dollars, Yen or Euros to spend. Author Arrivals Duty FreePosted on 5th September 2016 6th October 2017 Categories Duty Free ProductsTags Digital Cameras, GoPro Duty Free, Tax RefundLeave a comment on Shopping for GoPro Duty Free in airport shops, are Cameras good value?